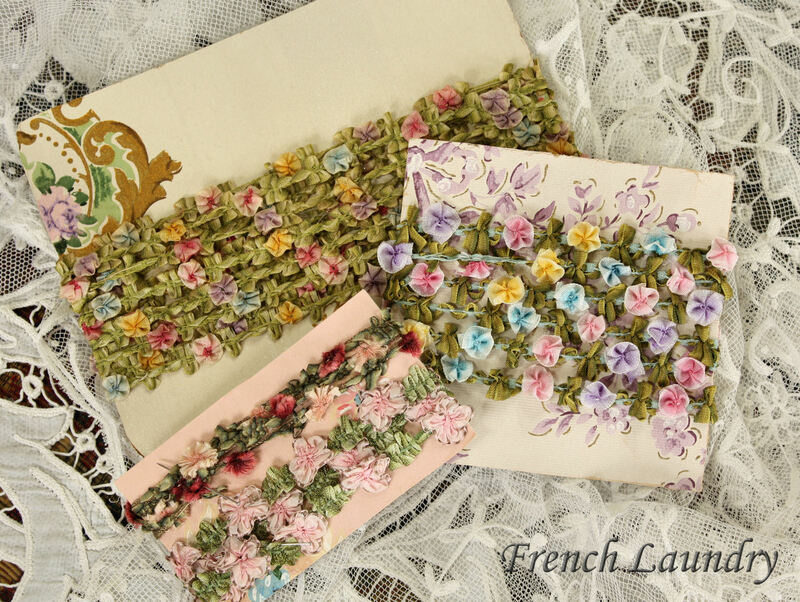 French Laundry: So what do you do with all that vintage wallpaper? 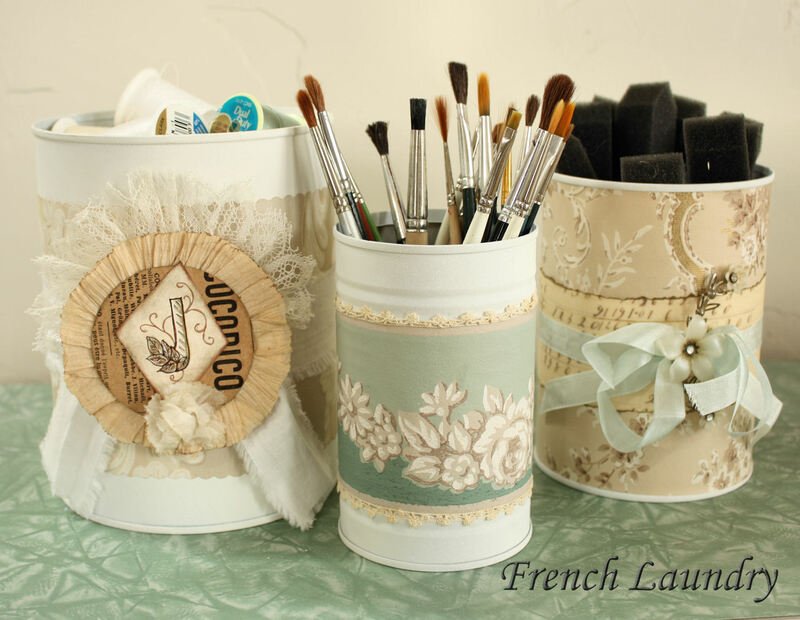 What a wealth of fun projects...I use the wallpaper too on those OATMEAL containers. I cut them down about HALF WAY...I can NEVER throw those out! Thank you for the ideas and the Beautiful Post! 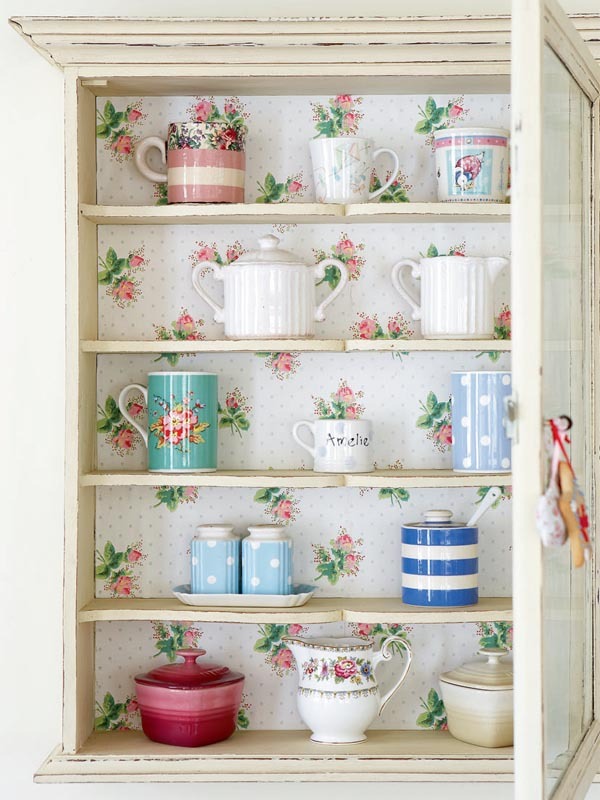 What lovely and special ways to use vintage wallpaper! 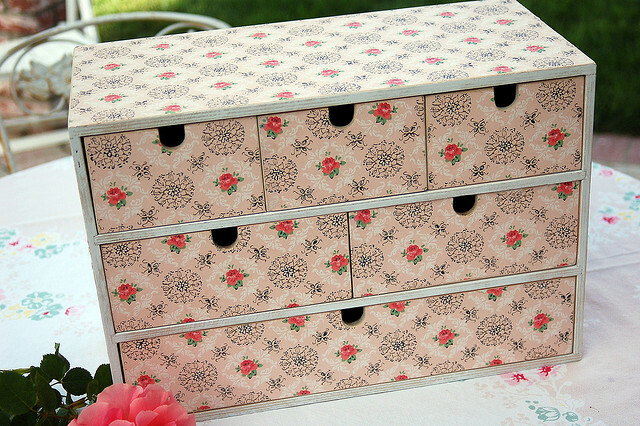 I like the idea of lining the back of a little cupboard. Beautiful post. Everything looks beautiful! I love it all--I love vintage wallpaper. 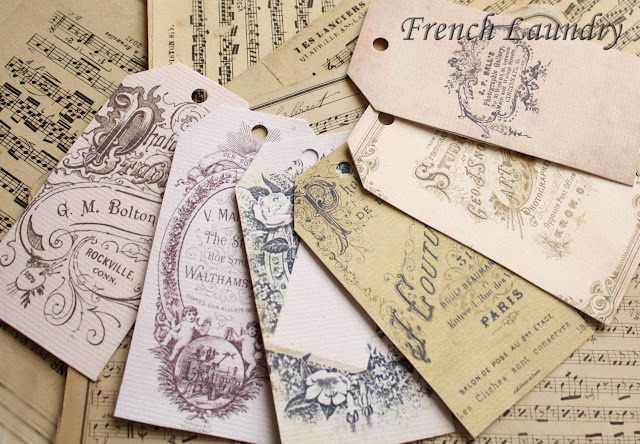 So many great ideas.I don't come across vintage paper very often.I wish I did. so pretty and inspiring. Thanks for sharing. What a pretty and so apprealing post. I loved each and every photo. Thanks for sharing. I just love your journal! Love all of your inspirations! 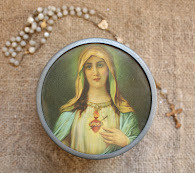 The painted and embellished cans are my favorite. I love your tags, too. 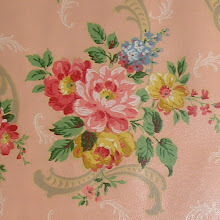 Where do you find vintage wallpaper? I haven't come across any but I will have to be on the look out now! 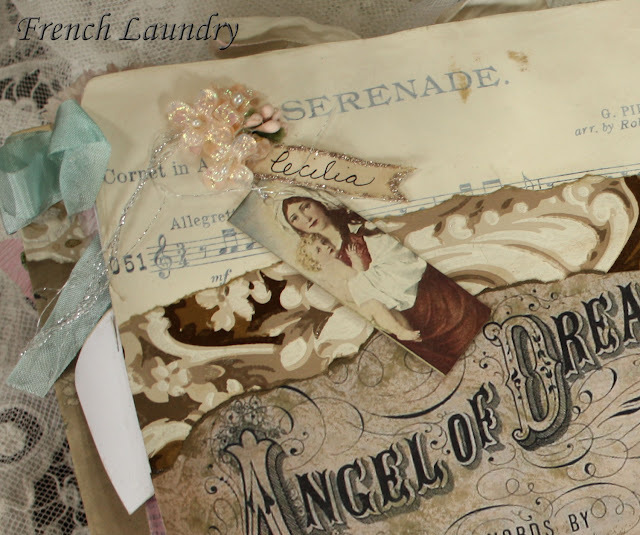 I want to come hang out and create with you Judy...your treasures are beautiful! Very pretty. I love the backing on the cupboard and the trimming for the shelves! I just can seem to cut in to my pieces. They sit there rolled up and tied with a ribbon taunting me! Wow, this is lovely. 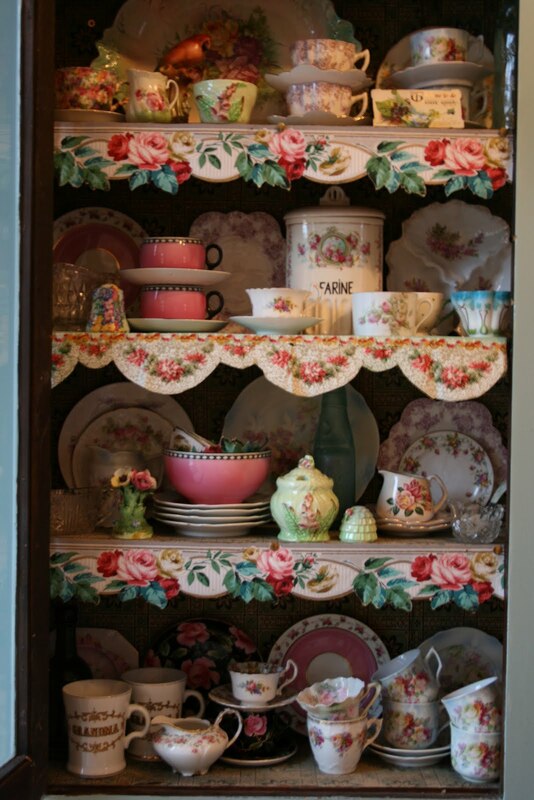 I love the shelves with all the beautiful decorations. this creativity has my wheels spinning so to speak. Just lovely. 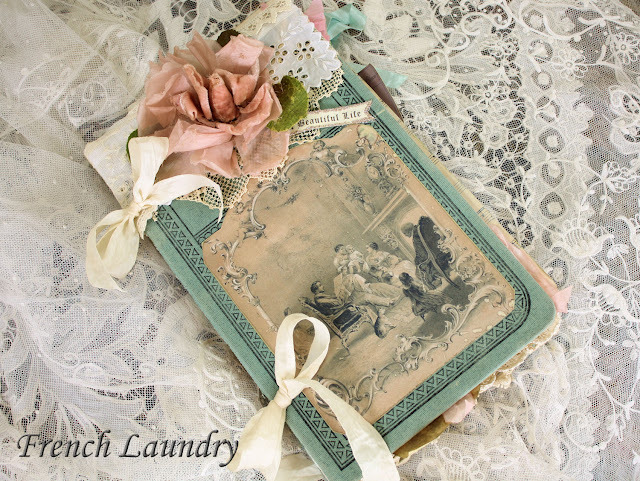 What an inspirational post - I love the journal you created...And your lace cards are just too delicious!! Judy, all of your pictures are gorgeous! The cabinet lined in pink wallpaper would be my favorite! Judy, what a fantastic post. There is not one thing I don't love that you did with the wallpaper. The ideas you came up with are simply wonderful. Judy, this is all so pretty! This is the ultimate recycle project and look what is produced! These are all wonderful gift ideas as well. Thanks for sharing these lively ideas. What great ideas for vintage wallpapers! 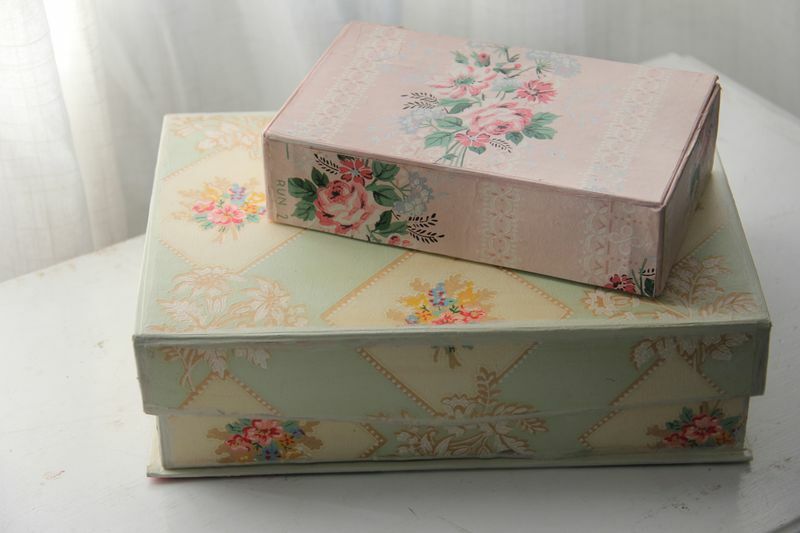 I use them mostly for covering boxes. Love the wallpaper on the hat box in the second photo. Just gorgeous!! 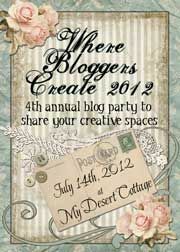 You have an absolutely stunning, gorgeous and beautiful blog! 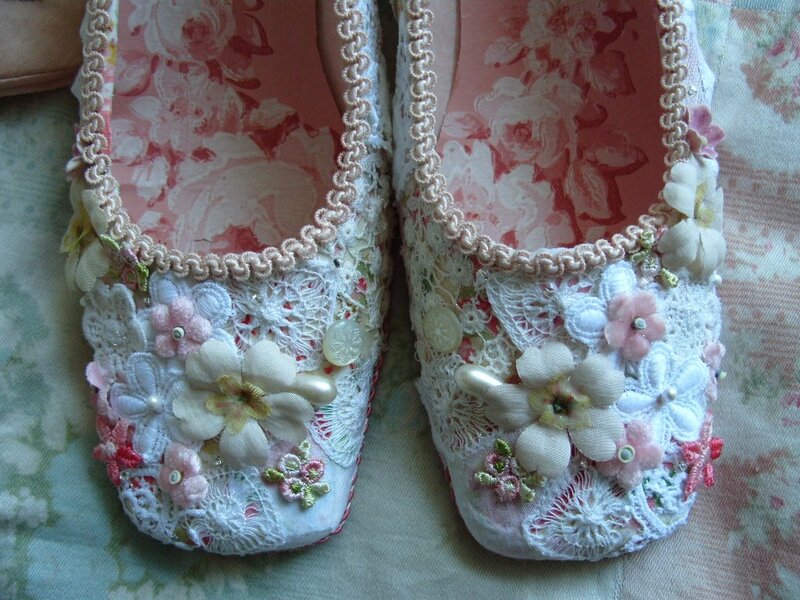 Your header is what attracted my attention first; all that lace is just amazing! 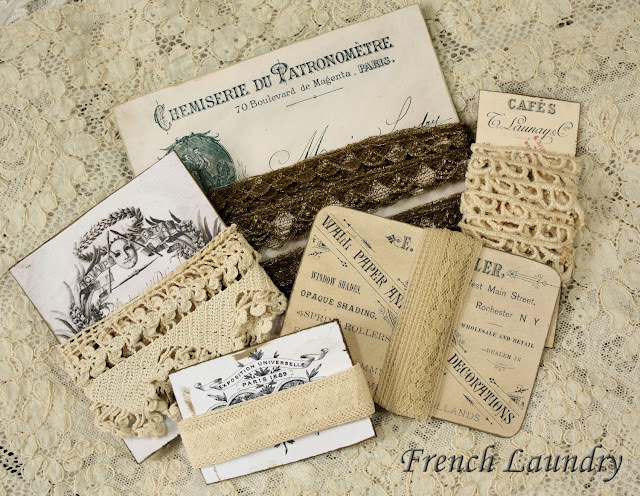 If there was only one item I could collect, it would without a doubt be antique lace. My favorites are Victorian wedding hankies. 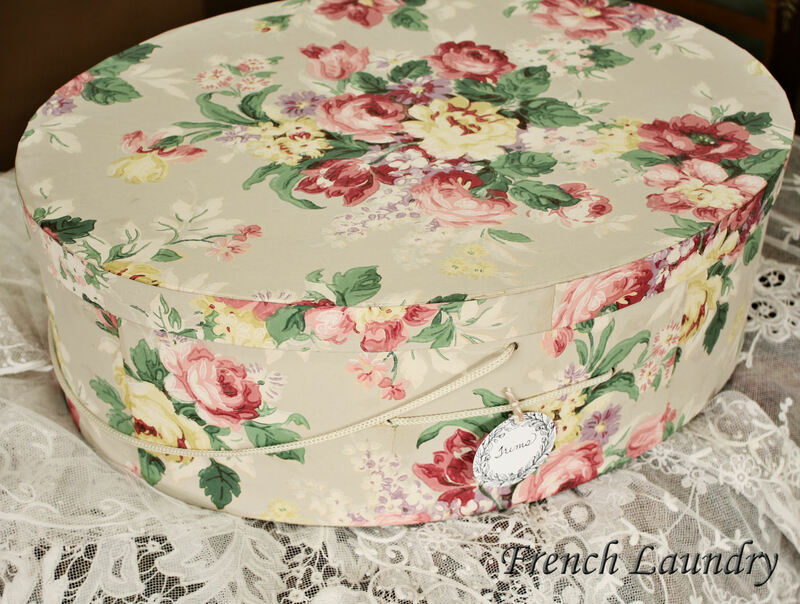 What you've done with vintage wallpaper is fabulous. And I'm a fan of Heather, Carola and Niki as well... all their creations inspire me. Such wonderful ways to use vintage wallpaper. 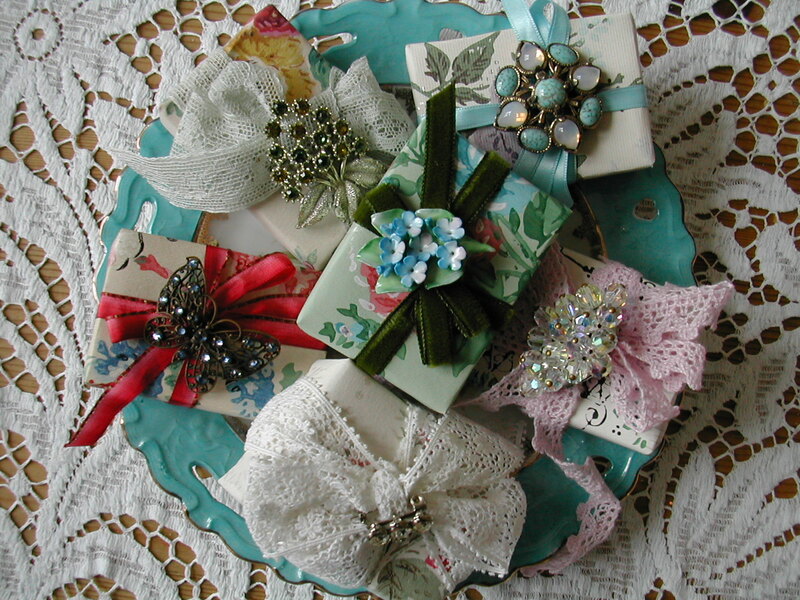 I often pick it up when flea market shopping. I have used it line cabinets, for paper crafting and lately.... for torn paper roses. 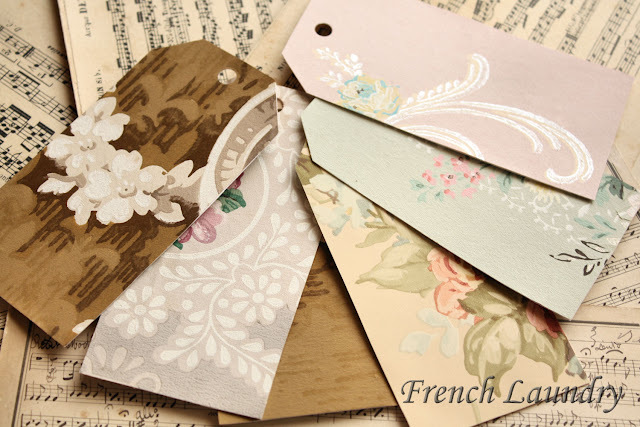 Vintage wallpaper tears so easily and makes wonderful paper flowers. I'm so excited you joined me for Pearls and Lace Thursday!! I love your header pic...that is soooo pretty!! all those gorgeous pillows just make me swoon each time I look at your blog!!! Thanks for sharing all the beauty!! OMGoodness! 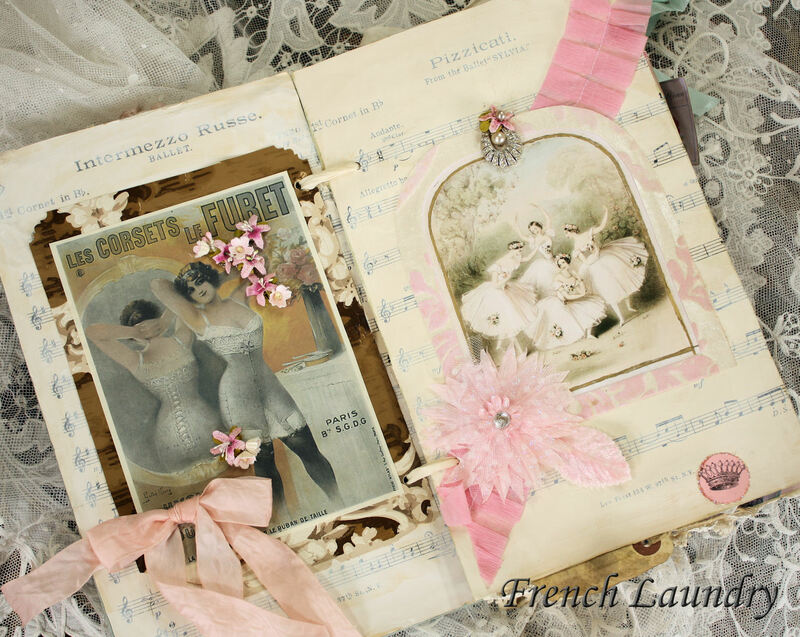 So many pretty ideas here!! Love them all - especially the ribbon organizing cards. Thanks for sharing! 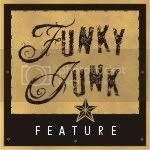 Visiting from Feathered Nest Friday and am hooked...signed up to follow you. I'm so happy that I have some old wallpaper books in the basement. When our recycle center had them I took some home. They said if I didnt want them just bring them back. The center is now closed down and I'm happy I still have several old vintage books..
What you do is such an inspiration. Your work and talents are wonderful. I need to find the time to use these! Thanks to you, I can see the possibilites! Ok...that is just all to die for gorgeousness!! 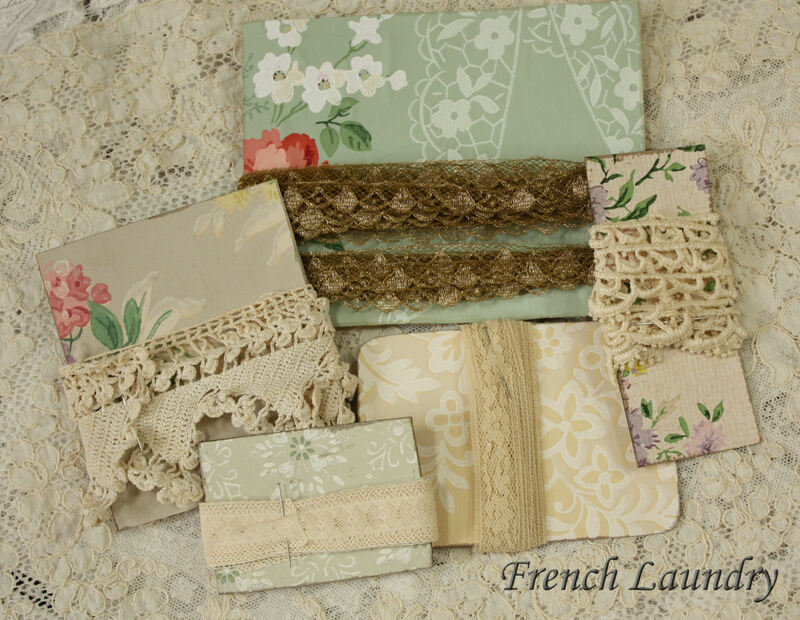 Thank you for sharing soooo many beautiful ideas for my stashed wallpaper! So pretty to see them being used. Judy, What a artist, you are. This post is absolutely amazing. You make it look so easy, it's wonderful. Thank you so much for sharing on Simple & Sweet Fridays. 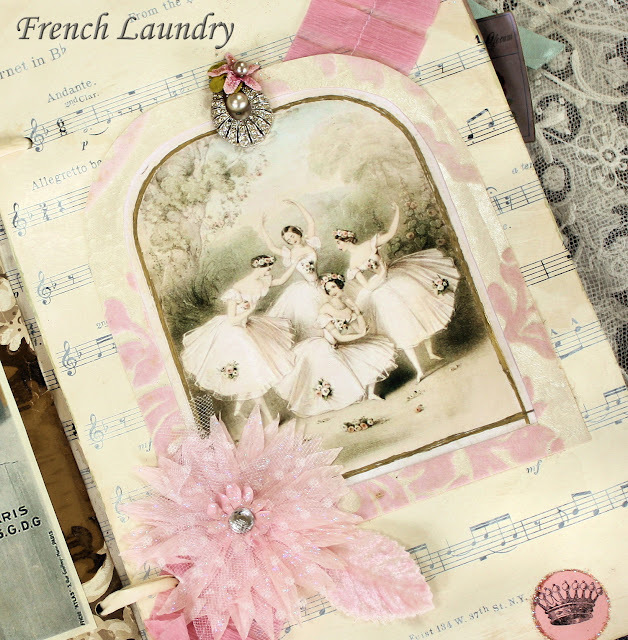 oh my...this post is chock full of inspiration. Thanks sooo much for sharing your incredible ideas. I think my favorite is the covering of the cans that were on their way to be recycled. Gorgeous! 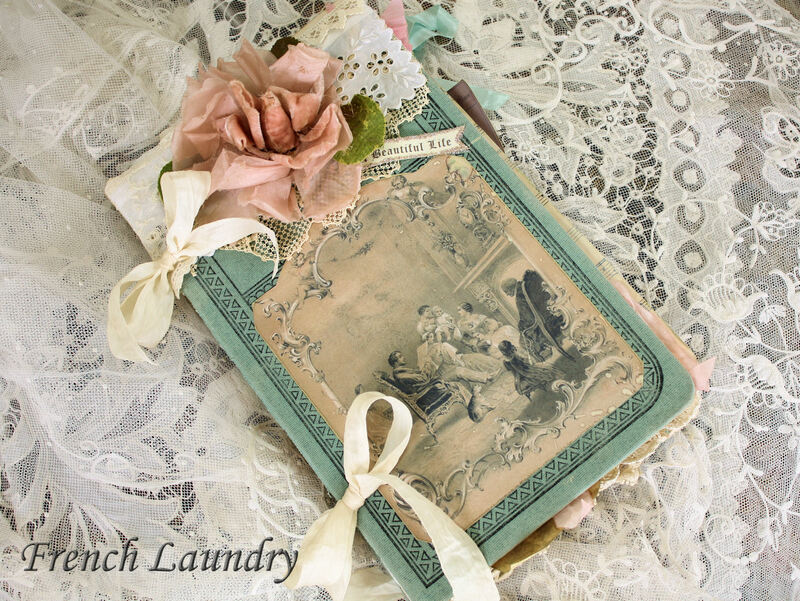 This is such a gorgeous post Judy! 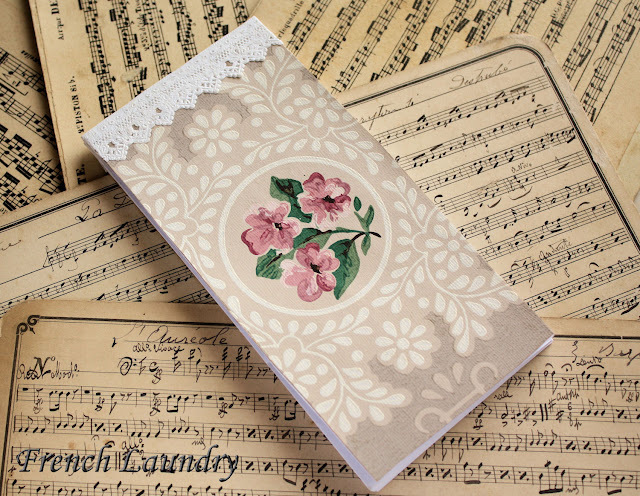 I love all the wallpaper projects you showed here! 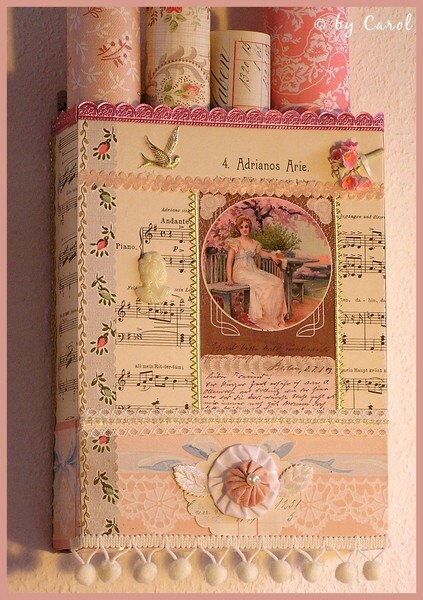 Your journal pages,tags and altered cans all look wonderful and I feel really honored that you included one of of my vintage wallpaper wall boxes! Wishing you very happy Easter celebrations! This post is fabulous!!! Great inspiration!!! Too much gorgeousness for one post!! Beautiful! Thank you for joining me at Home Sweet Home! All these pretties so inspire me! 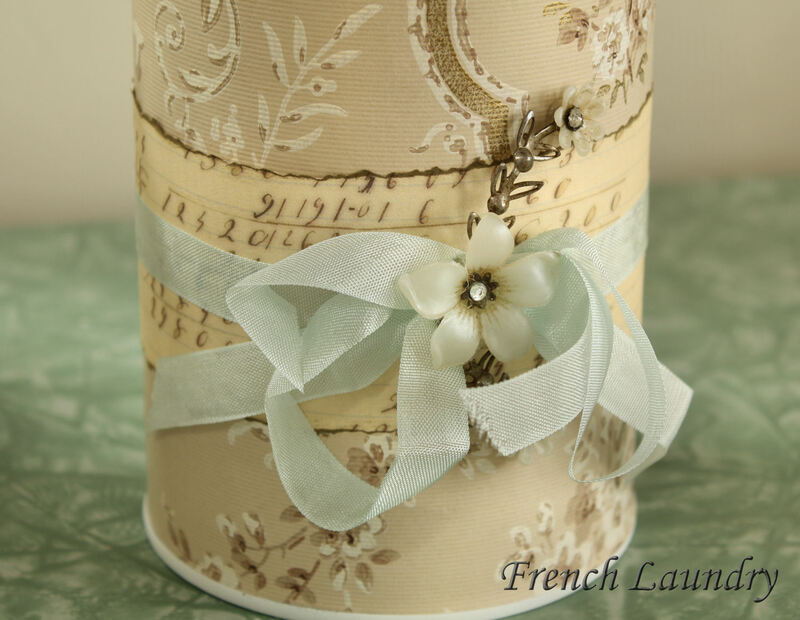 Such great ideas for using the wallpaper. I love the cereal box idea! 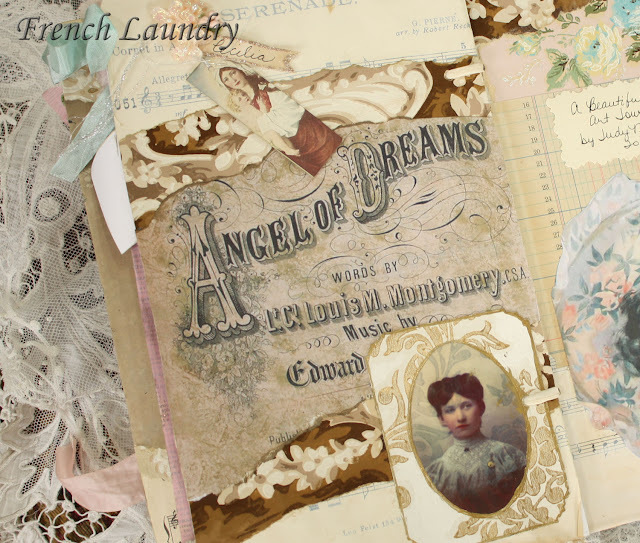 Such beautiful ideas for vintage wallpaper...just wish I knew where to find some.